National Baptist Convention - Envisioning the Future Exceptionally - February is National Heart Health Month! · National Wear Red Day- Communities across the country will be wearing RED on Friday, February 3rd and more than a few faith communities will be donning red at services over the weekend, including #HOPENBC, to bring awareness to the fact that heart disease is the number one killer of women in the U.S.. Check out the National Wear Red Day Toolkit and The Heart Truth Faith-based Toolkit from NIH’s National Heart, Lung and Blood Institute. Follow NHLBI’s The Heart Truth® on Facebook and Twitter for daily tips and inspiration on how to stay heart healthy, and link to www.hearttruth.gov on your blog, website, or social channels so that women can learn about their risk for heart disease. · FDA’s Heart Health for Women: Federal Food and Drug Administration’s (FDA’s) has tips to help women and families make good decisions about their heart health. · OMH’s Heart Disease and African Americans: February is also Black History Month and so it is a good time to educate community members on health issues including cardiovascular diseases and elevated levels of death rates from stroke among African American adults. · CDC’s Strong Men Put their Heart Health First: While Americans of all backgrounds can be at risk for heart disease, African American men, especially those who live in the southeast region of the United States, are at the highest risk for heart disease.2 Additionally, more than 40 percent of African Americans have high blood pressure, a leading cause of heart disease and stroke. That's why this February during American Heart Month, Million Hearts® is encouraging African American men to take charge of their health and start one new, heart-healthy behavior that can help reduce their risk of heart disease and stroke. 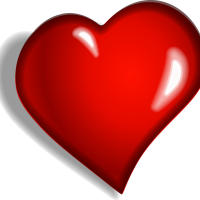 · HealthFinder.gov’s Heart Health Conversation Starters: It can be hard to talk to a family member or friend about making healthy lifestyle changes. Use these tips to start a conversation about heart-healthy changes like quitting smoking or getting more physical activity.